Step 1: locate the mail icon at the bottom of your desktop. 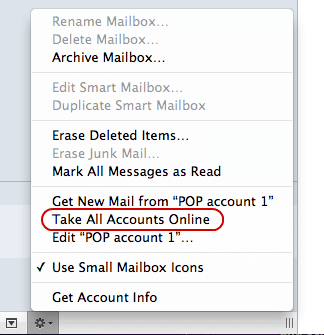 Step 2: click on the mail icon. 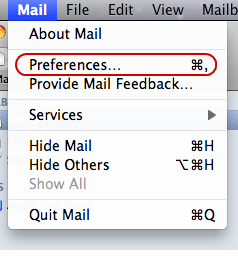 Step 3: select Preferences from the Mail menu. 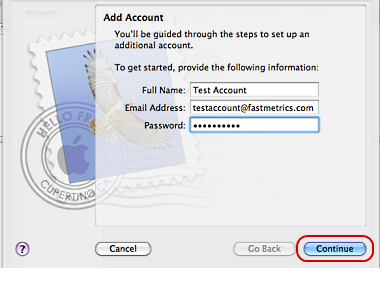 Step 4: you will see the accounts window, click on the plus sign located at the bottom left. Step 5: enter your account information and your password. Then press Continue. Step 6: you will see this error message. Click Connect. Step 7: select POP. Enter any Description you wish. 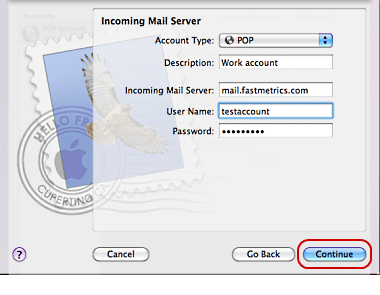 Incoming Mail Server must be mail.fastmetrics.com. For User Name enter your full email address. Enter your Password, then press Continue. Step 8: enter any Description you wish. This will be handy when you have multiple accounts set up. 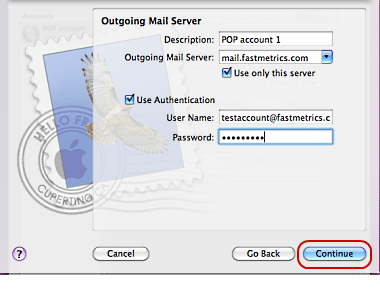 Outgoing Mail Server must be mail.fastmetrics.com. 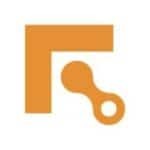 For User Name enter your full email address. Enter your email Password. Then press Continue. Step 9: you will now be shown your account settings. 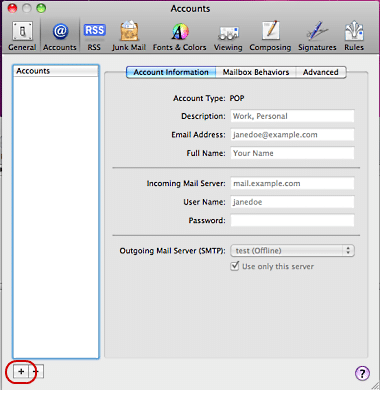 If you want to keep a copy of emails on the server unselect Take Account Online. 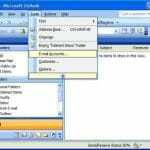 To finish adding the account click Create. 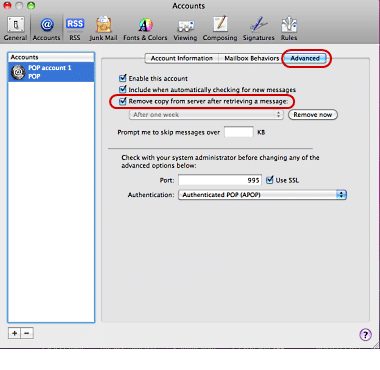 Step 10: OPTIONAL but recomended to unselect Remove copy from server after retrieving a message. 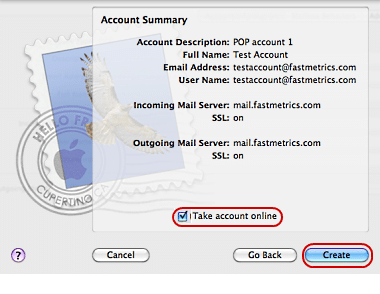 Step 11: to bring your account online you must open Mac Mail and select the tools icon located on the bottom left corner. Click Take All Accounts Online. Now you will begin to see all your incoming emails.